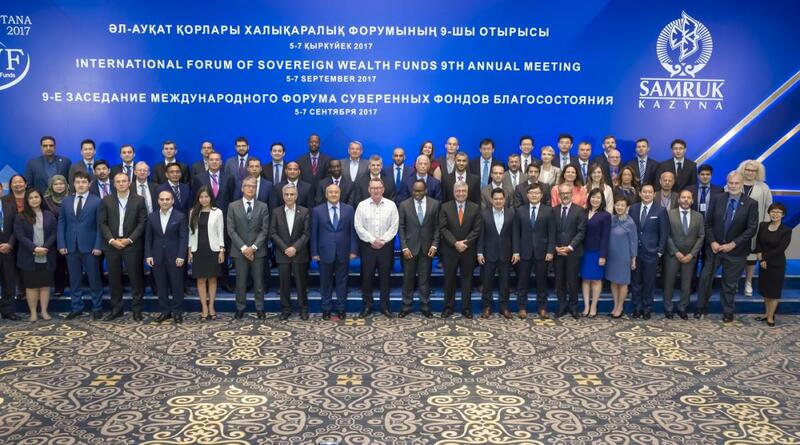 In 2008, a group of 23 leading state-owned international investors from around the world established the IFSWF’s precursor, the International Working Group of Sovereign Wealth Funds, following discussions with global groups such as the G20, International Monetary Fund and the US Department of the Treasury. The Working Group created a set of Generally Accepted Principles and Practices, known as the Santiago Principles, for sovereign wealth funds’ institutional governance and risk-management frameworks. Following the Kuwait Declaration in 2009, the International Working Group became the IFSWF with the mandate of helping members implement the Principles. Today, helping members implement the Santiago Principles remains the foundation of the IFSWF’s activity. But the Forum now represents a group of more than 30 sovereign wealth funds from all corners of the globe, with a variety of mandates and at various stages in their development. As a result, the Forum’s focus has evolved. In addition to encouraging the ongoing commitment to the Santiago Principles, the Forum also undertakes research, facilitates peer assistance exercises and holds workshops and seminars to help members enhance their existing investment capabilities. The IFSWF also undertakes to represent its members to the global financial and policy communities. What does the IFSWF do? The IFSWF helps foster good governance practices within the membership by enabling members to share their unique experiences of applying the Santiago Principles with each other. By sharing experiences, the Forum helps members to improve their governance and accountability structures and practices. The IFSWF also promotes transparency by encouraging members to report publicly on their experiences of implementing the Santiago Principles. The IFSWF seeks to help members raise their expected risk-adjusted returns by regularly bringing our members together to share their perspectives on specific governance, investment and operational issues. We also undertake peer assistance on investment practices, asset allocation and financial risk assessment. The Forum works with academic and practitioner experts to help members fulfil their mandate in an increasingly challenging and complex investment environment. The Forum helps represent the views of its members to the wider financial community. It provides a contact point through which members can collaborate with multilateral finance organisations and, where appropriate, engages with the media on issues of interest to the membership.